Too bad Violet has never been great at following the rules. Walking home after a night of partying, she manages to let one of the Dead take a chunk out of her only hours after they’ve begun walking again. Fortunately for Violet, she doesn’t die. Unfortunately for Violet—she’s not exactly alive, either. Melissa is a Primary School teacher by day and a writer by night. She grew up in a small town in the UK, and spent of her time with her nose in a book. Her childhood was filled with R.L Stein, Jacqueline Wilson, and J.K Rowling, and they inspired her to begin creating her own worlds. Melissa has always been fascinated with stories about living through an apocalyptic event, and with characters who feel so real that they become part of the reader long after the book was put away. 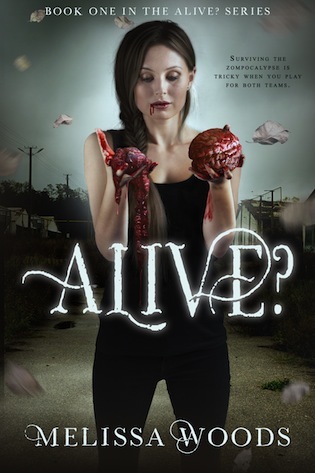 She wrote the first draft of Alive? at sixteen, and has been hooked on writing ever since.